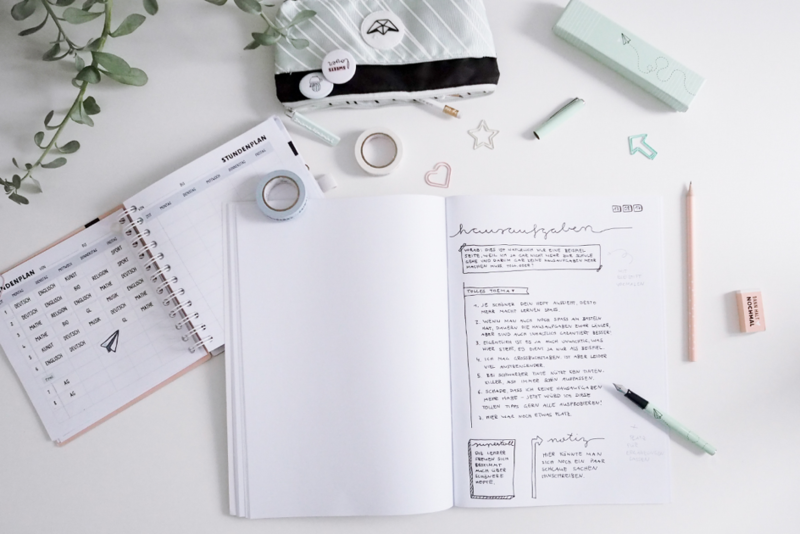 What started out as the design for a daily planner from Joana Heinen has since become a social commerce world full of unique content, individual product worlds and an active community with remarkable engagement. Though the young company now also offers diverse stationary, calendars, home accessories and other lifestyle products, the product assortment still reflects the unmistakable style of Odernichtoderdoch that Joana remarkably started only 3 years ago. With over 300,000 followers on Instagram and 145,000 on Facebook, Odernichtoderdoch has a powerful presence on social media to say the least. When founding the company, Joanna realised the potential Instagram had to drive growth and now uses social media to increase both traffic and sales for the brand. “When we started out, I was providing my friends and other well-known bloggers with my products. This allowed us to reach an even greater audience. The classic word-of-mouth propaganda simply works much faster online,” Joanna said of their social media strategy. With an average age of 27, the company’s 160 employees now handle all operations from four locations dispersed throughout Münster, Germany. While a number of the products are available for purchase both online and offline, Odernichtoderdoch has its roots in the digital world. The success of the company can be traced back to the high level of interaction between the community and designers, as followers and customers are regularly taken behind the scenes and involved in the design production process. Due to these uncomplicated communication paths, the company can quickly get feedback and implement suggestions and requests into the product design. As a result of this strong brand interaction, the company affords an extremely high number of loyal customers. “Thanks to consistent interaction with our community, Odernichtoderdoch is more of a ‘social commerce interaction brand’ than a pure eCommerce brand. This is what makes us unique. The commitment of our customers is a core value in our company communication and is truly a way for us to measure our success,” explains Niklas Heinen, CEO of 100TAUSENDLUX, the parent company of Odernichtoderdoch and Jo & Judy. After experiencing consistent exponential growth, Odernichtoderdoch inevitably outgrew the capabilities of their previous online shop run on WooCommerce. “When it comes to product maintenance and easily rolling out various campaigns, Shopware is far better suited for our needs. The shop has to be able to withstand peak traffic periods. The high stability and scalability of the system convinced us that Shopware was the right choice,” Niklas Heinen continued. The shop runs on the basis of a Enterprise Edition and offers around 450 products from 35 separate categories. The company has also integrated its own fulfilment system into the shop. 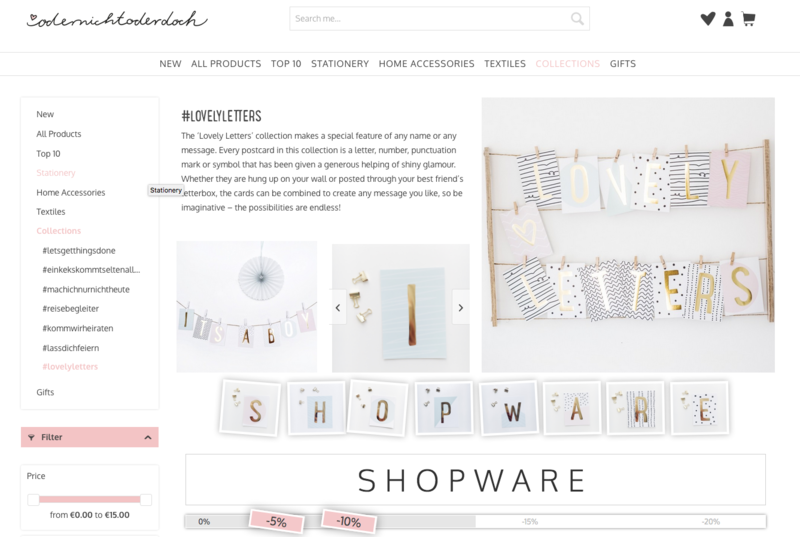 Other customisations include a popular “Lovely Letters Configurator”, which enables customers to create their own message with individual postcards using a real-time configuration tool that was custom built for the shop. Since migrating from WooCommerce, the mobile and desktop conversion rate has nearly doubled – an incredible effect of the migration that justifies the initial investment made in switching to a new shop system. “Not only has our conversion drastically improved, but so have a number of internal processes. Thanks to Shopware’s high performance and clearly structured backend, our customer service has a much easier time manage requests. Much to the delight of our customers, fulfilment is also working much more smoothly, thanks to the DHL plugin we’re now using to settling incoming orders,” Niklas said. “During the shop implementation, Shopware’s support was incredibly helpful and always straightforward. Leading up to the relaunch, we had no prior experience with Shopware, so this friendly relationship was really helpful,” Florian Schade, CTO of 100TAUSENDLUX said of the shop implementation.